Collapsible pedals ease mono-wheel's transportation a lot. 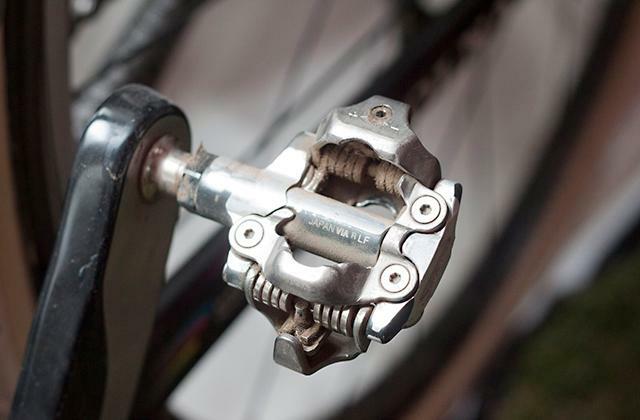 Moreover, these pedals are made of aircraft-grade aluminium, which increases pedals' durability. Housing logo becomes blurred after short-term usage. 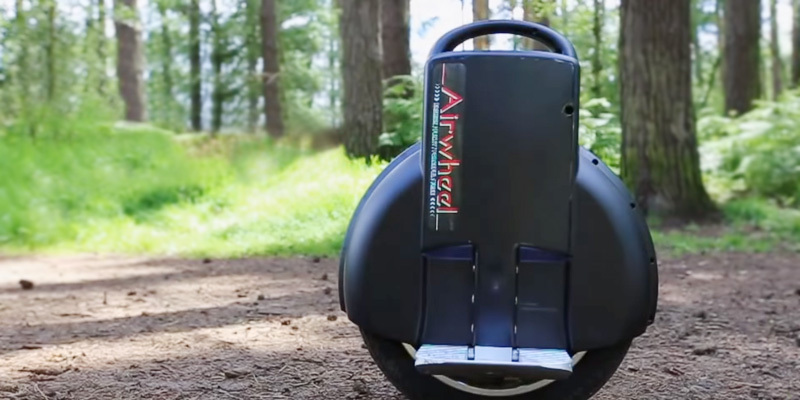 This electric monowheel is one of the best models on the market when it comes to short distance movements. It is also one of the safest options so the risk of falling down from this device is decreased exponentially. This device has an ergonomic indicator which displays battery charge level precisely and reminds the user to charge it. When the battery charge becomes critically low, this monowheel decreases it's speed gradually in order to prevent a fall. Battery life is small if you compare it to the competition. The new operating system and productive CPU processes thousands of operations per second in order to ensure that your ride is smooth on any pavement. This unicycle is a great choice if you're looking to engage in some asphalt or gravel pavement riding. Moreover, it comes equipped with a convenient stand that will ensure better storage. The material of the seat is not exactly durable. This unicycle's fork construction allows using this device not only for an easy ride but for some extreme tricks too making it a great choice for customers interested in a multifunctional model. 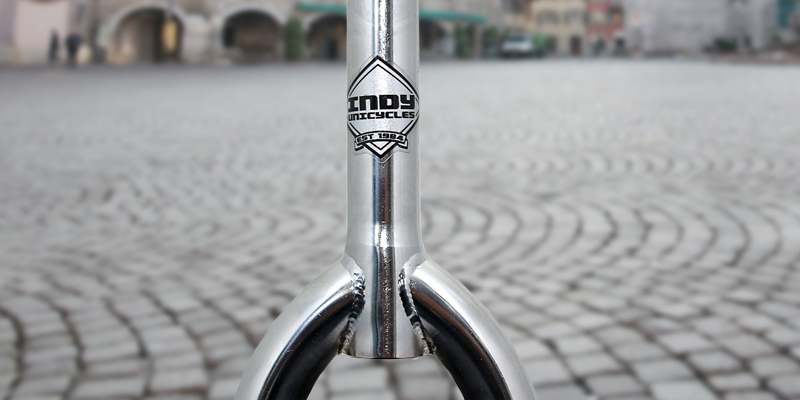 Indy Trainer UNI-004 Kids' Unicycle Chrome Plated 24"
One of the most interesting features of this model is that this cycle's tire is made of special rubber, which doesn't leave any tracks on the pavement meaning that you can easily ride this unicycle indoors and outdoors. 150 cm is a required minimum height to use it. This vehicle is a good choice for inexperienced riders who have just started their journey in the unicycles world. 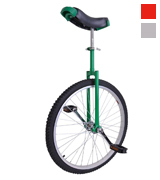 Furthermore, this unicycle is one of the more high-quality and durable models out there. Easy to make small jumps with it thanks to the light weight. The seat bolt is a bit tough to tighten up. Fun unicycle is a very affordable model for learners and regular riders. 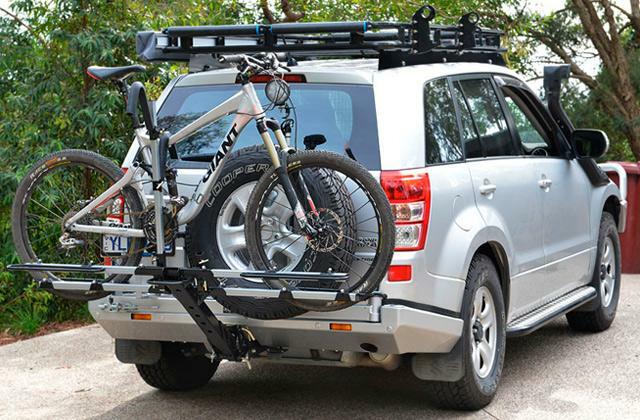 Excellent option if you want a quality mobile vehicle with a great look for everyday use. 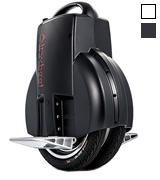 Aluminum rim, Cartridge bearings, Kenda KIKZUMBUT tire, Width - 1.95"
AirWheel is very similar to the Segway models but it features at least one decisive difference. The Segway has a platform to stand on in between two wheels and a handle to hold on to, while the AirWheel has two pedals on each side of a single wheel (two contiguous wheels if we're talking of the Q3). It's not very stable, it doesn't have handlebars so you can't just stand motionless on it, you need to keep moving to stay balanced, just like on a bike. But still a motorised unicycle remains breakthrough in personal mobility. Airwheel Q3 manufacturer says you can drive around in office buildings or in and out of lifts with a cup of tea without hopping off. But if you are an inexperienced user, it can be quite easy to lose control and crash to the ground, so you do have to be careful if you choose this monowheel. There's a good chance that when you first begin, you will think that it is impossible to ride this device. The guidance video that you ought to watch will barely help you and the first couple of hours of practice could easily make you want to give up. But the first steps are always the hardest ones. The secret to mastering the AirWheel Q3 is choosing the right terrain and a proper type of pavement. 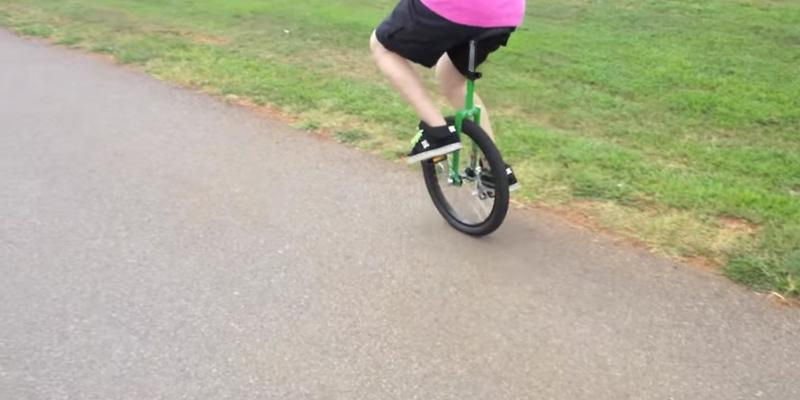 Any irregular or uneven soil makes riding this unicycle 10 times harder. It will take 2-3 weeks to make you feel comfortable riding on the Q3 and that's just talking about the flat ground. This device comes bundled with a safety strap which can help with riding during the learning period. 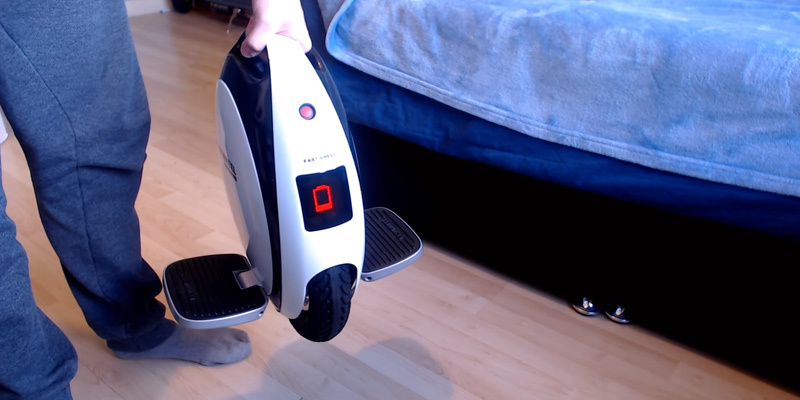 When you come off the AirWheel Q3, it deactivates the gyro and stops the wheels. Before you purchase the Airwheel Q3, what you need to understand is that it will be hard to operate the model but once you get the hang of it, it can bring you so much pleasure. 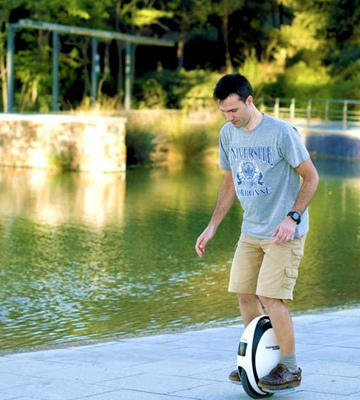 When you've learned to use the AirWheel Q3, riding it can be a constant source of entertainment. 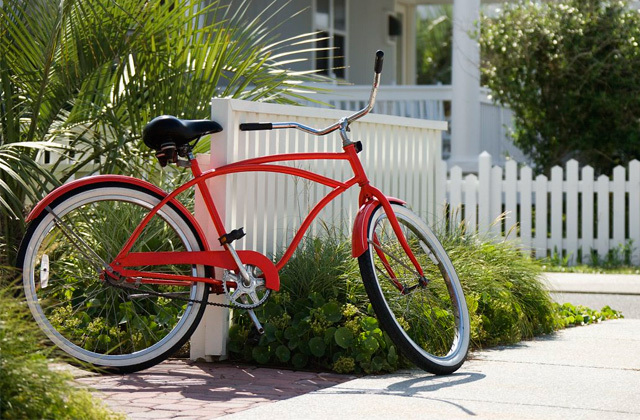 You can use it to ride to the stores and around the malls. 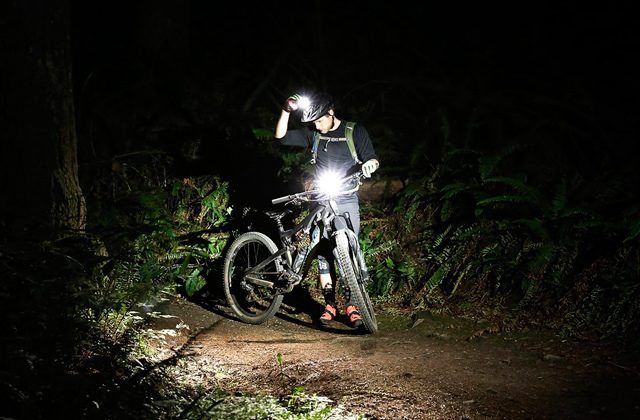 If you have mastered the device to a sufficient level, you will be able to ride even on a rugged terrain, but that will require much more recollection and concentration. After a couple of months, you'll be able to ride to the school or to your place of work but you'll have to think about your route first. 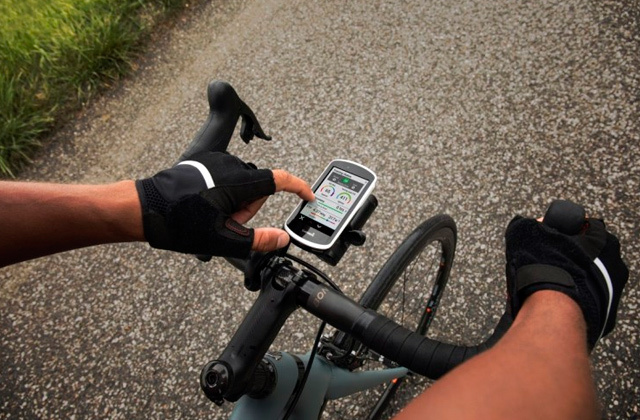 You need to know for sure what kind of pavement you will ride, count all the road crossings, and the main thing, will you be able to carry 13 kg in your hands if something goes wrong? 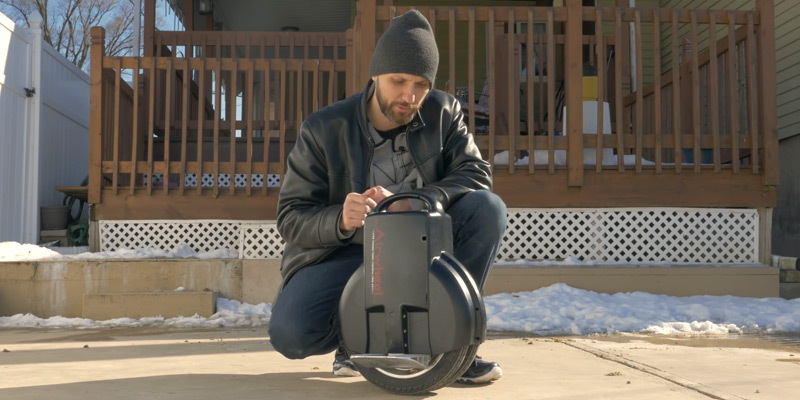 This monowheel is fun to use (as soon as you master it), 24 miles is a good range and it takes no more than 2 hours in order to fully charge the device. It isn't the easiest unicycle out there, but once you get the hang of it, it will serve as a great source of entertainment and transport. 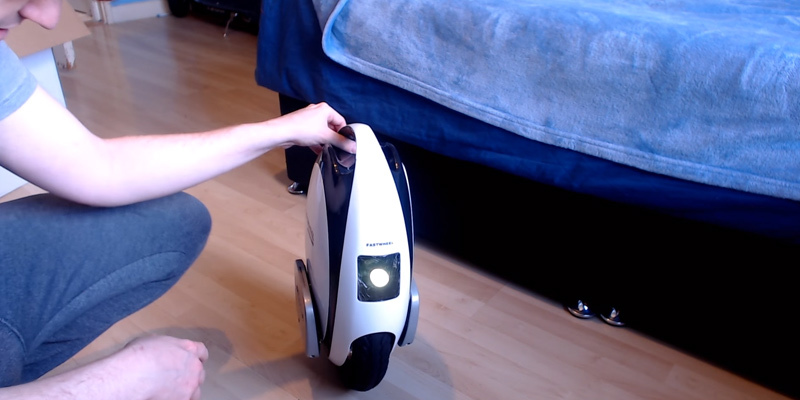 Is it the best electric unicycle? It's a hard question, but there is one thing we can know for sure, the Airwheel Q3 has more pros than cons, and it merits attention. This new Fastwheel EVA is an out-and-outer, ergonomically designed, oval-shaped (instead of common circular shape) self-balancing unicycle that comes with 3 different models for selection: Eva Classic, Eva Pro, and Eva Super. Each of the models is equipped with the latest technologies. Its design is really sophisticated and is capable of attracting your attention. Some people call it the smallest yet one of the most powerful electric unicycles for personal mobility. This one is part of the new so-called generation of E-wheels. 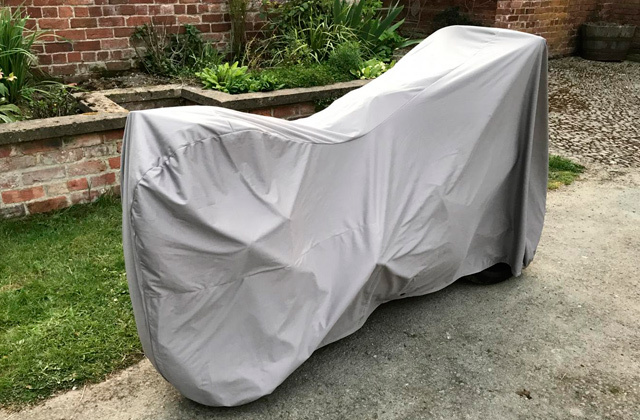 This device was manufactured for quick, pragmatic and economical personal mobility with the clear goal of respecting the environment. Fastwheel is a well-known respected manufacturer, so all of the electric unicycles of this company have been built according to CE standards and the strictest European Quality Controls. Fastwheel weight is 8.8 Kg (EVA Classic) and 10.5 kg (EVA Pro) so it's easy to use and convenient to carry around with your bare hands. 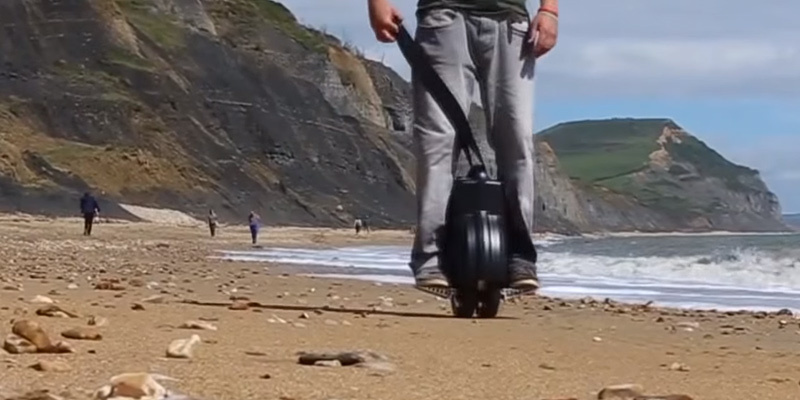 This device is more lightweight than any other motorised unicycle. This monowheel can be used for any kind of travel application or simply as a great source of entertainment. EVA's range is up to 30 km but the top speed is limited to 20 km/h in order to prevent accidents caused by excessive speeding. Fastwheel EVA is lightweight, comfortable, does not take up too much of your space and fits at home, in an office or any other place you wish to take it. The electric wheel controls are based on varying of body position by changing the angle of the feet and legs. 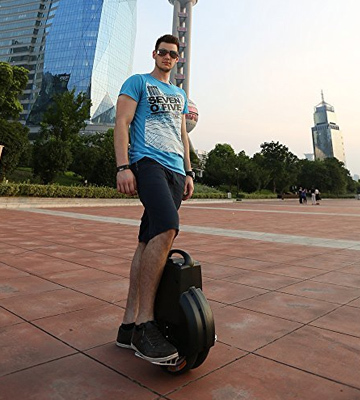 The electric unicycle goes forward, stops or even goes rearward by leaning forward or backward. Still there is one question left in uncertain condition, is this device the best electric unicycle? This is one of those questions, which can not be answered with just yes or no, so the only thing we can say - this is an amazing device, and thousands of people all over the world have cognized this fact. This device's design allows for improved grip and the smooth curved edges and makes it incredibly easy to carry around. It can be connected to your Android mobile phone or an iPhone to set and regulate technical features such as speed and angles, so the maximum speed and the angle can be modified, which is very convenient. You may ask how long will it take me to learn to ride the Fastwheel? Of course, the duration of the learning period depends on your natural sense of balance and confidence, but this model is much easier to master than your average E-wheel. Some of the inexperienced users may be able to master the basic balance and simple riding in a matter of minutes but the average time for a newbie to feel comfortable on this E-wheel is 1-2 hours. But once you get started, there's a good chance you will find it totally addictive! 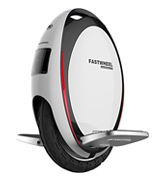 Any of the Fastwheel EVA models is a convenient electric monowheel that comes at a very reasonable price. One of the more attractive features of this product is the 24" wheel that allows you to take this unicycle on some downhill riding. All of the awesome feelings of excitement and ardour that usually accompany any type of extreme sports can be easily obtained with the ReaseJoy unicycle. With its 24" wheel structure you will be able to achieve a great speed and change the moving direction. Thanks to the full-sized nylon pedals with chromoly spindles, this unicycle is incredibly easy to control even for some of the less experienced riders. 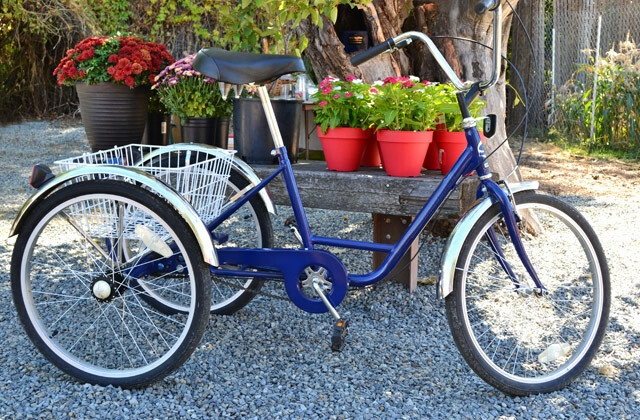 This cycle's design philosophy was devised according to somatology and movement features and its saddle is large enough to provide the required comfort with removable poly-nylon guarded rails that come in handy when it comes to durability. The Riding ReaseJoy will bring you a variety of joyful feelings and positive emotions. This model will prove to be a great purchase both for novices and for professionals, men and women alike. Its construction will not stand in the way in terms of performing tricks and manoeuvre. There is no manual included but do not fret over it since the item is incredibly easy to assemble. All in all, the ReaseJoy 24" is very durable and reliable unicycle, it's frame is made of manganese steel, which is a pretty sturdy and solid material. Manganese steel is used in a mining industry, so it's durability comes without question. You can be sure that your unicycle's frame will not bend or curve while you're busy performing cool and dangerous tricks. 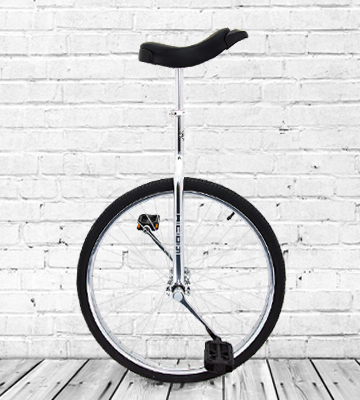 This unicycle is ideal for performing all sorts of tricks both indoors and outdoors, on any pavement or surface. But there are some hints for using it right: never stay still on the unicycle, slightly lean forward and put the weight of your body on the saddle. These simple rules will help you stay safe and keep improving your riding skills. This model is good for those, who knows how to ride a unicycle. As we've said, this unicycle is great for both novices and professionals but novices should still start to ride under the instructions of their tutors or with an accompaniment of someone who knows his way around the unicycle. At the end of the day, the ReaseJoy 24" is a nice choice for a variety of different customers, without even mentioning its more than acceptable price. Every item, device, model, a piece of equipment or a product has a target audience that the developers and distributors have in mind when devising and advertising their merchandise and unicycles aren't in any way an exception to that rule. The Indy 24" Trainer is an ideal first unicycle for teens & adults, especially thanks to the fact that the device allows the rider to cover longer distances with less pedalling. An ergonomic saddle provides you with a safe and comfortable ride. Rounded plastic pedals make your ride convenient and provide an excellent grip, which is an especially important thing if you are just getting started in the world of unicycles. 24" x 1.75" tire is suitable for indoor and outdoor use, so you can improve your riding skills wherever you want. On top of that, unicycling is a nice way to stay fit and a very popular outdoor activity nowadays, so the Indy Trainer will significantly help you when it comes to discovering the unicycling world. It's a well-known fact that anyone can learn to ride a unicycle, you just need to be patient and take your time with it. Sometimes an individual can start pedalling after a few minutes in a seat but more often people need much more time to master some of the simpler movements. If you made up your mind - just do it, the Indy Trainer will be able to serve as a great starting point. Keep training and be patient, 10-30 minutes per day should prove to be enough for a good start. 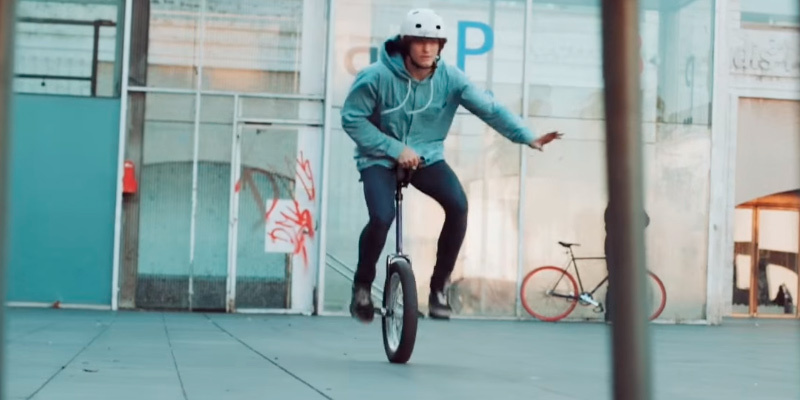 This unicycle is not one of the better models when it comes to tricks, but it is ideal for beginners and its price is quite affordable, bearing in mind all its features and characteristics. This means it will be the best choice for people who want to know how to ride a unicycle. Also, the Indy Trainer is the best unicycle for kids. 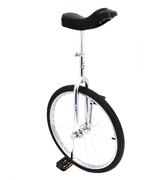 This Indy Trainer Unicycle will be an amazing present for your children or relatives. If somebody from your family has been dreaming of unicycling, it's a perfect time to make that person's dreams come true. 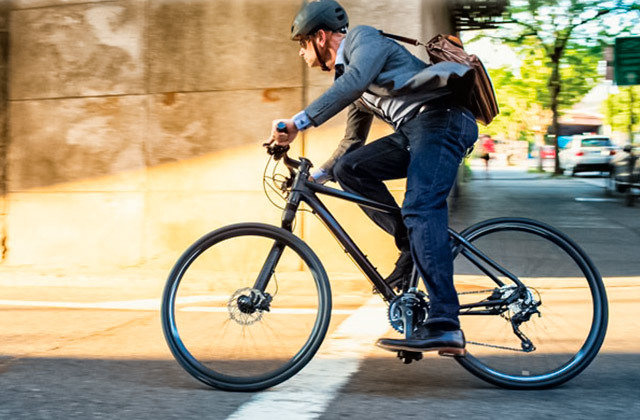 As we've been saying, this model has got a very stable tire and it makes it easier for the first-time riders to balance themselves during the ride. It is a very reasonable choice if you desire a unicycle for beginners. 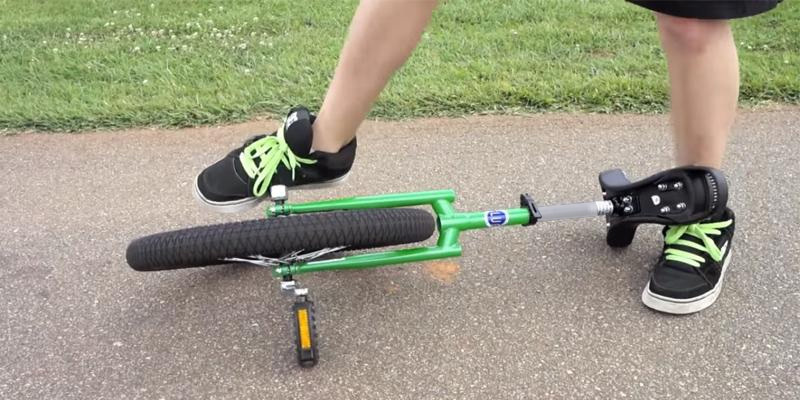 If somebody needs a unicycle for simple and casual riding and not for making stuns or tricks - this Indy Trainer is the right answer. Of course, you may inquire if the item is durable. The answer will be "yes" with a capital Y unless you're planning on using it for tricks. And if you're still not sure if the unicycle is easy to operate, there's absolutely nothing to worry about. This device is one of the most convenient options for beginners on the market. As you might have guessed, this Fun unicycle features a 20" wheel with a 1.95" tire, that will be a great choice for beginners. It is designed for roads and you can even try racing on it. At 11.6 lbs. weight, we can also recommend it for children, but adults may ride this model as well - simply adjust the seat post to your height and hop on. We also liked the look of this unicycle: chromed steel is a perfect match with a black seat and grey plastic bumpers. BMX-style pedals are wide enough to rest feet on them comfortably. Simply put, it has all the necessary features to learn the basics of unicycling without worrying about safety. 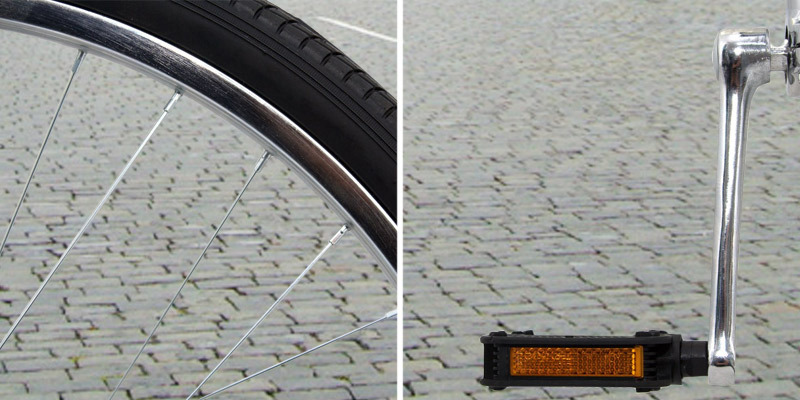 Fun 20" unicycle boasts the tire by world-renowned Taiwan company Kenda Tires. It has a slick tread pattern that makes it suitable for riding a road or indoors if you are going to perform on a stage. The Kenda company has been manufacturing rubber products for more than half a century, creating tires for cars, bicycles, motorbikes and ATVs. Its factories are based in China, Vietnam and, of course, Taiwan. It is a sponsor of several racing cycling teams. Therefore, with this product you are getting an up-market quality rubber tire at a pretty reasonable price. 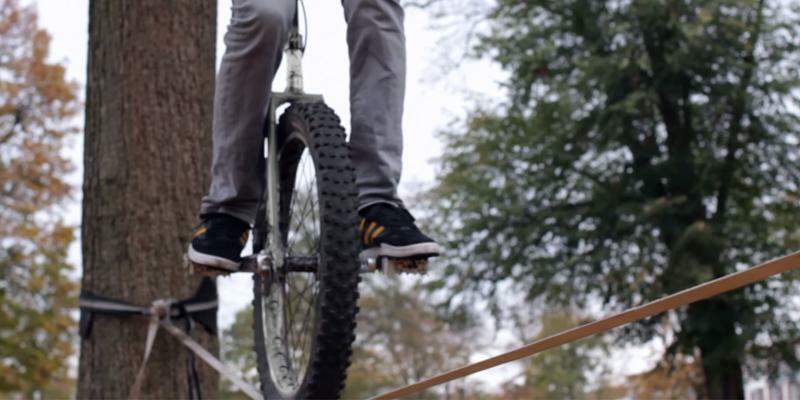 Riding a unicycle is actually safer than a bike. What happens, when the front wheel of a bicycle drops in a thank-you-ma'am at a great speed? That's right, the rider is hurled over the handlebar and the bike flies in its wake. In the same situation, the one-wheeler just turns over, while the driver hops off the seat, makes a few steps by its own momentum, and then just stops. Moreover, you don't have to obtain special skills to do so, as the walking comes off naturally because you are riding a unicycle half-standing. That's why, statistically, a number of serious injuries on a unicycle is a lot rarer than on a bike. As a small kid, what was your opinion on a circus? Maybe, you were amazed by equilibrists on the rope, breathtaking somersaults under the dome or trained wild animals obediently jumping over the obstacles. Or maybe, you have found clowns performances the best. 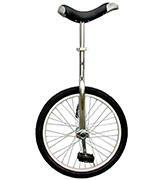 Anyway, the unicycles were closely associated with acrobats at circuses and carnivals. But step by step, it is slowly changing into an awesome tool for recreational activities. Now, you can often meet people in parks riding this mono-wheeled vehicle. A unicycle consists of one wheel, 2 pedals, a seat and a fork-type frame that connects them all together. You ride it by keeping a balance and cycling pedals forward or backward. 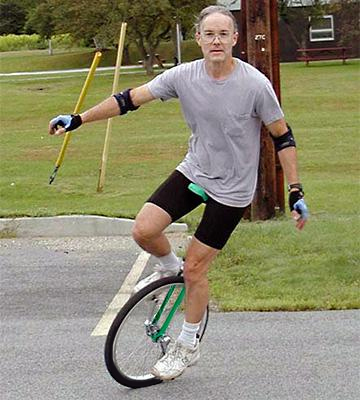 Unlike bicycles, standard unicycles don't have a handlebar or brakes. You change the direction by shifting your weight from side to side. In order to stop, you either hold the pedals still with your feet or simply jump off it. Of course, you can buy an additional hand brake module where the handle is placed right below the seat. For this review, we've studied what features a unicycle does have to offer and tried to compile the results in an unfussy guide with the best picks for those who have just started or are yet to learn the astonishing skills of unicycling. We strongly advise buying a helmet and elbow pads to make the learning process safer. 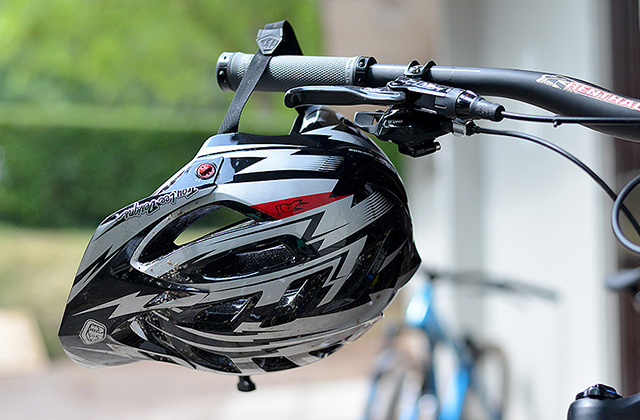 So, don't forget to check out our review on the best bike helmets as well. 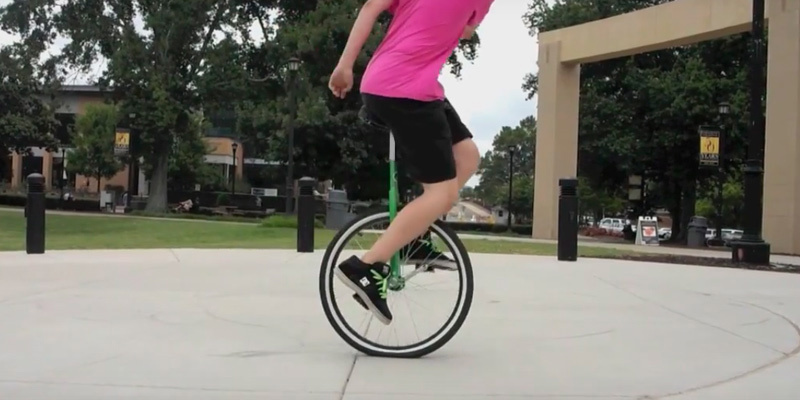 Freestyle unicycles are designed for riding on flat surfaces like roads, pavements, etc. They come with a slick or semi-slick tire. Trial models are usually more durable than the others. They need to withstand a rider's weight while he performs stunts like jumping over obstacles, for example. They have pretty wide tires to help balance in one place. Mountain unicycles, just like mountain bikes, feature a wide tire with knobs and have been designed for off-roads racing. Torque models are for covering large distances. As a rule, the diameter of their wheel is larger than 26". 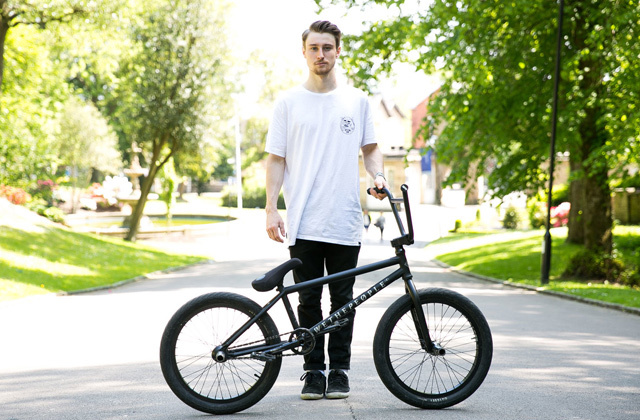 If you want to learn the basics of riding then choose any bike with 16" - 24"wheel diameter. However, the riding style may vary in accordance with the Wheel Size. In general, the smaller diameters with thinner tires are more maneuverable, while larger wheels provide greater speed. 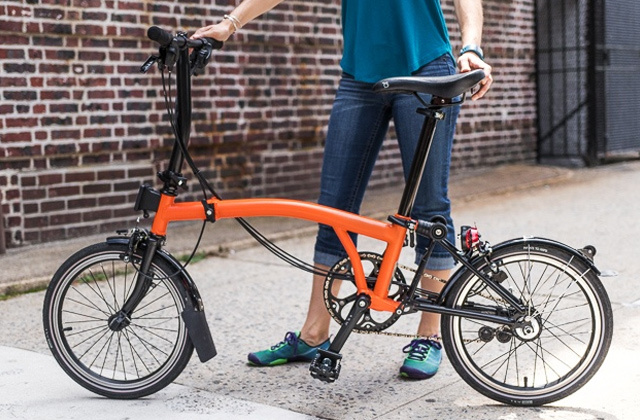 For average-sized people, the 16" to 20" wheels will be just right. For kids, you might grab a vehicle with 12" - 16" wheels. But if you have long legs, you might want to get a model with a wheel bigger than 20". The easiest way to choose the right unicycle's height is to measure your inseam leg length and compare the result with the wheel and seat parameters. Remember, your leg should be almost straight when positioned on the bottom pedal while you are sitting on it. Unicycle's Weight is crucial for the trial unicycles, as you have to jump high with it. But for other types - not so much, because when you have to carry it around, you can just tow it by the seat. Choose the frame strictly according to the Maximum Load. Some models may withstand more weight than showed in their datasheets, but better safe than sorry. Always grab the uni with the maximum load bigger than your weight if you want to perform tricks on it. 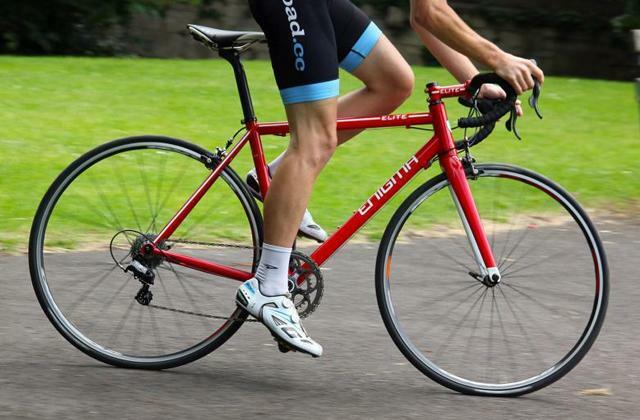 Don't forget about the Frame Shape. The top part of the fork that goes around the wheel is called the crown. Riders use it to put a leg on while performing some stunts. Its shape may be rounded or flat. Finally, there are many smaller features, including, but not necessarily limited to, the frame and rim materials, crank attachment types, the way of fastening the seat post to the frame, pedals or seat shape, etc. However, these parameters are not so imperative for the starters. We've picked up 5 great looking models that have all the things needed for new users to get into unicycling or for a little more advanced riders to push their skills to the limit. Sit back, relax and enjoy our review of the following products. Q: Is there any benefit of riding a unicycle for my health? A: Definitely! Unicycling helps strengthen muscles and quickly get in shape allowing for burning up to 230-350 calories per hour. It has also proved effective for combatting mental fatigue. Riding a unicycle several times a week can also help improve coordination and sharpen concentration ability. Q: What are the advantages of unicycles over traditional bikes? A: The main advantage of unicycles is their compactness. As unicycles are considerably lighter than most of the traditional bicycles, they're easier to store and carry around. Unicycles require less maintenance, too. Instead of having to maintain two wheels and two tires, all you need to do is make sure the one it has is in a good operating condition. Unicycles are also much more affordable than bikes. There's a whole variety of unicycles on the market, among which you can find even those designed specifically for mountain cycling. Q: What kind of a unicycle should I start with? 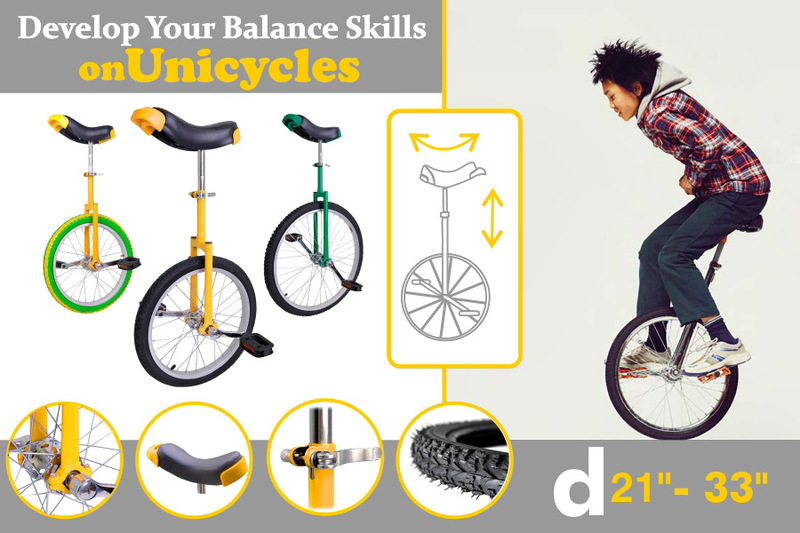 A: Look for unicycles that belong to the beginners series; unlike professional-class unicycles, beginner models are more stable and feature non-slip pedals comfortable for rides. The size of the wheel should be between 20" - 24". Such models are considered more versatile and suitable for riding both indoors and outdoors. What else you should consider when selecting your first unicycle is the saddle-pedal distance. It should have the right size to fit the length of your leg. Q: In which position should the pedals be when I want to start riding? A: The safety position is when both pedals are positioned horizontally, at the same distance from the ground. In such position, due to the even distribution of a rider's weight between the pedals, the risks to fall off the unicycle are from minimum to none. Therefore, it's recommended to start and end riding in this very position. Try to avoid starting from the position when the pedals are vertically level because in such position the weight is distributed unequally. Q: What is the right age for starting riding a unicycle? A: There are no age limits at all! The 12" and 16" unicycles are designed specially for kids. Children can learn how to ride even faster than adults! Q: How to maintain a unicycle? 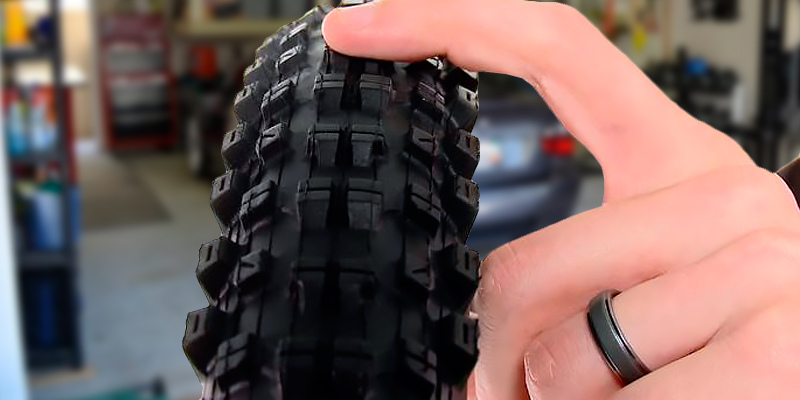 A: You should be careful with worn, flat, and under-inflated tires because they can make your rides rather dangerous, especially outdoors. If you notice loose frame bolts or seat bolts, you should immediately tighten them. 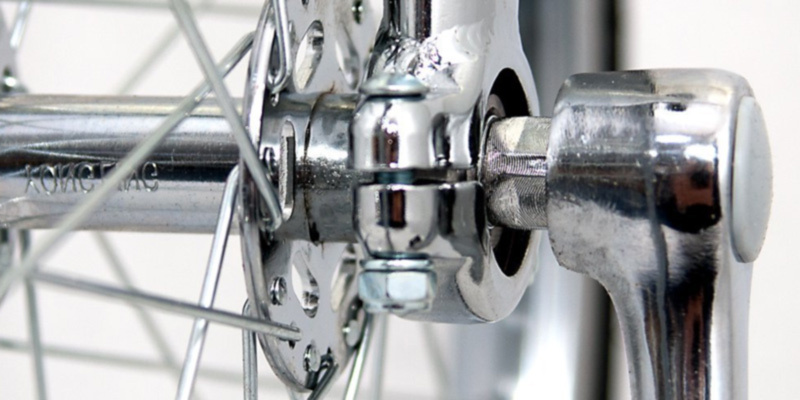 If you have creaking spokes or creaking cranks, you need to fix them with a spanner. A: Though unicycling may look like a dangerous sport, it's quite safe, and if you can ride a bike it shouldn't be difficult at all. Still, you should not neglect some protective measures and wear a helmet and wrist guards. During the first couple of weeks, it may be a good idea to ride next to the handrail so that you can have some support in case you happen to lose balance. It'll also be good to practice riding on some smooth surface first before going on a bumpy road. When being on the unicycle, always lean forward and look ahead of you, not down. Forget your fears, because if you feel panicky, it may take you longer to achieve the desired results. 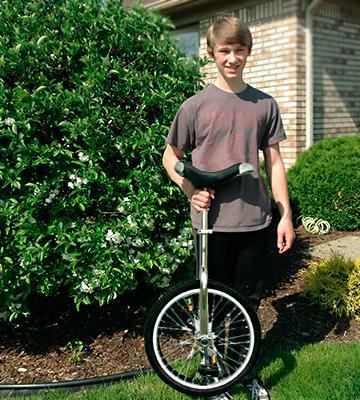 Being able to ride a unicycle can give you a great feeling and it's definitely worth trying. 1. Unicycle, Wikipedia. September 12, 2016. 3. The Unicyclopedia/Hardware, Wikibooks. March 16, 2014. 4. Bicycle Tire, Wikipedia. July 7, 2016. 5. Unicycle, Wikia. November 2, 2009. 6. How to Ride and Mount a Unicycle, wikiHow. 2015. 7. How to Measure Your Inseam, wikiHow. September 8, 2016. 8. Kris Holm The Wonderful World of Mountain Unicycling, Outside. July 30, 2012. 9. Patrick Laurence Unicycle Buyer's Guide, EzineArticles. April 14, 2015. 10. Unicycles - One-Wheeled Fun, Kidzworld. 11. Steven Elbow Appeal of the Wheel, The Capital Times. October 1, 2014. 12. Amber Kelsey Why Ride a Unicycle? LIVESTRONG. August 17, 2015.